In may she celebrated me on her radio show “Celebrity of the week” on BeatFM, and today I am celebrating her on my blog. At the time, she told me that she is preparing a musical comedy TV show with Jana Zeineddin to be aired in Ramadan on Ro’ya. Being already a fan of her after seeing her performing with Dozan Awtar last Christmas, I was looking forward for the show. Though I have to admit that I didn’t expect Fa Sol Ya to be of this quality, it was a nice surprise to see such brilliant new genre hitting the local screen. An entertaining quality musical production that captured our hearts in Ramadan. I was surprised to see myself rewinding and watching the episodes over and over again because of its lovely music. This is the first time I use this platform to interview other people. I believe that we have so much talents in Jordan and little media coverage. Lama Zakharia (@lamaonbeat) is a brilliant young star. Watch out for the name which I predict to become a very important regional star in few years down the road. I asked her about her talent, Fa Sol Ya, her stand on sexual harassment and women rights, her views about women in the production industry in Jordan and more. Fadi: You are an actress, singer and radio show hostess. There is so much going on in your life and you are multi-talented. Tell us more, who is Lama Zakharia? Lama: I’m actually undergoing an experimental phase in my life doing all these things mentioned above. Like any 24 year-old, I’m just trying to discover where I stand and really understand what my ideals are. I am also fortunate to have a very supportive family who is pushing me towards perusing my passions which will ultimately help me answer “who is Lama Zakharia” for real. Fadi: Lets start with your latest, Fa Sol Ya. There is much creativity and talent in the show. There is good chemistry among the cast and the music is just brilliant. How would you define Fa Sol Ya? Whose idea was it? and how did you guys develop it into production? Lama: Atef Malhas (a guitarist and friend) and I were approached for our work in ‘Kash Kash’ by Shashat with interest to develop our concept for TV during Ramadan. At this point I brought in Jana Zeineddine to act as a creative comedic consultant and felt we would be a good match. After many discussions and meetings with Shashat, Atef and I decided that this was not the favorable direction to take Kash Kash into. Once we had the concept fine tuned, to take social issues and conceptualize them through musical comedy, Fa Sol Ya was born. The idea was to take a pop song, put some Arabic lyrics, (develop a story with 3-dimensional characters) and make it happen on TV. The more Jana and I worked on concepts, the more I realized what a good match we are. I needed comedic guidance, she was there to offer it, she needed more Jordanian cultural insight, I was there for that, and most of all, we had the same exact type of humor. She became basically, my creative soul sister. Fadi: What are the reactions for the show so far? Lama: Extreme I can say. People either love it or hate it! I feel the general Jordanian audience is warming up to it but the idea is still foreign and bizarre for many. As for people who have been exposed to musicals before regardless of their background, they seem to understand us more and appreciate what we’re doing. Also, in each episode we are introducing a different type of comedy – from dark humor to absurdist to situational – and comedy is culturally specific. People will react to it with apprehension initially if it’s not familiar to them, and that is something that we have been seeing. However, part of our show’s goal was to expose Jordanian audiences to the many different types of comedy, and music was a great vehicle with which to do that. Fadi: How do you feel about the reactions? Lama: I have to admit, being my first experience, I was hurt, shocked, and hopeless when I saw all the negative comments on Youtube. But later on when I started listening to the positive ones. I realized, as Jana would say, extreme reactions are better than no reaction. It means that our performance has affected someone at some level. 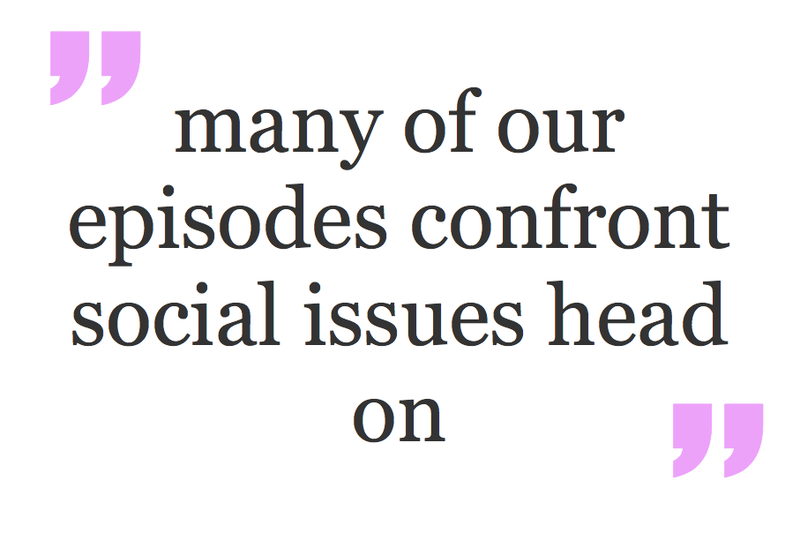 Also, as you mentioned, many of our episodes confront social issues head on, and for some audiences, that can be uncomfortable and cause extreme reactions as well. Many of the negative comments reflect a lack of understanding of the episode’s intention, and that is to be expected. Fadi: You are right, extreme reactions are better than no reaction. Is there any specific reaction that you remember and like to share with us? a positive or negative one? Lama: There was one reaction directed towards the 2atayef song where people claimed we should not have thrown food on the floor, and especially not during Ramadan. I have to say we tried our best to be culturally sensitive, but some people still felt personally insulted rather than entertained. We always tried our best to keep the balance between taking risks to reach the level of comedy we felt was right and downplaying lyrics or plots to avoid certain discomfort. It’s not a question of not taking risks with the issues we address or the way they are presented and performed, but rather maintaining a level of cultural sensitivity. Jana and I have many ideas that we would still love to present at a future date and will hopefully be able to balance between challenging cultural norms and drawing awareness to issues while maintaining a high level of comedy. 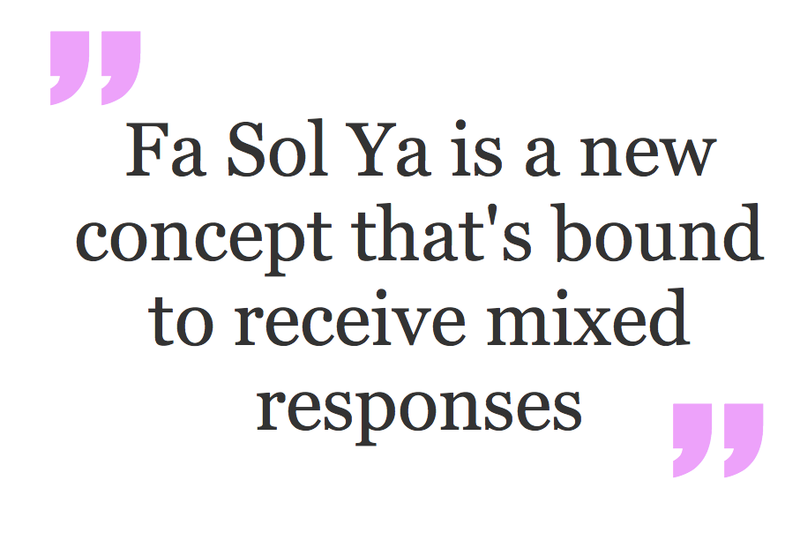 At the end of the day, Fa Sol Ya is a new concept that’s bound to receive mixed responses. The good thing is I learned a lot about my society and how I can work on my delivery for the future. Fadi: I have been really enjoying the show mostly for the music, and your voice of course. Who picked the music? Lama: Thank you Fadi so much. You’re so supportive!. Some songs came from personal inspirations and some came from Jana. We followed our impulses mainly when selecting what songs to use. Each episode has a different story and we really were on the same page with our vision which made the creative and song selection process smooth. Also working with a genius arranger like Nareg Abajian, and a highly talented sound producer Qusai Diqer (who were both in Syria) was challenging but so rewarding. We also had the support and the amazing spirit of Saeed Bazouqa from Loriana studios when we were recording the vocals which facilitated the process. 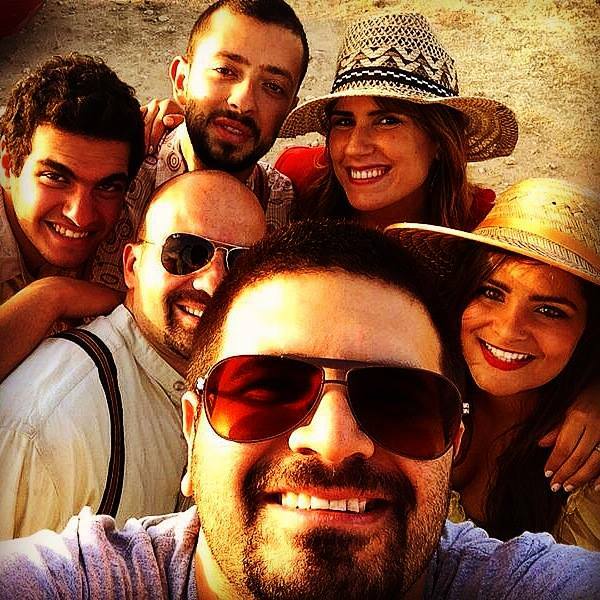 Fadi: I loved most of the episodes I watched. You have tackled different issues such as corruption, tawjihi, media, parliament among others. My personal favorite is “Ramadan Song – Katayef”. It is a dark comedy that touched me strongly and made me feel bad about what mothers go through on a daily basis (Alla ye3eenhom). I like the feminist edge in it. Which is your favorite episode? Why? Lama: Wow! I’m always happy when someone gets what we mean! That’s exactly what we meant by the 2atayef song and Jana portrayed that extreme emotion with perfection. My personal favorite is actually Darbet 6arab. I am actually proud that we managed to produce a classical medley of Arab pop songs. I’m also in love with how it was shot even though, believe it or not, it was all last minute. I just love how this one was delivered. Fadi: The first time I have seen you acting what on stage at Christmas time with Dozan Awtar. I instantly fall in love with the grandma character you played. The play itself was a nice breeze and captured Christmas spirit very well. I can see some of Dozan’s cast playing on your side in Fa Sol Ya, you guys make a brilliant group. Tell us more about Dozan Wa Awtar. How did you get involved with them? any future plans for the group that you’d like to share with us? Lama: Dozan Wa Awtar is the backbone behind this project in many ways. Firstly, I met the musical mastermind Nareg Abajian through Dozan. I’ve also met my creative sister Jana through Dozan as the director of Project Christmas which you’ve mentioned above. Most importantly, this establishment is such a unique loving and supporting family, they just made the process of performing and recording more professional, smoother, and even more enjoyable. As for future plans, there will always be future plans I am part of Dozan after all. Fadi: I really love your voice. Would you ever consider developing your own pop music album? I’d certainly be the first one to buy it. Fadi: That’s a day I look forward to. Fadi: Have you seen the horrible video of the gang sexual harassment in Irbid? You have once addressed the issue with music and delivered a strong message in your show Kashkhash. How was the reactions to that? What’s Kashkhash? and how do you think we could fight such phenomena? Lama: I think this issue is one that angers me the most in life. I will continue writing music about this and I even have something in mind to tackle this Irbid issue particularly. I think exposure is the first step towards reaching a better place than we’re in. Making people realize “THIS IS WRONG” is what we need to do first. If you look at the comments on the video, many commenters think the girls deserve this treatment. Let’s first make it visible to people how wrong it is through music, awareness campaigns, videos, verbal expression and then we can move forward to more targeted measures. This is a deeply ingrained cultural problem. More so than a sexual one. That’s my opinion. Fadi: On may, I was honored to be hosted in your show “Celebrity of the Week” on Beat FM. How is the show going? Who was your favorite celebrity to host? Lama: I loved that interview! Especially that I’m a huge fan of yours (funny you’re interviewing me now) “wa7de b wa7de”! lol. The show is good I keep learning every day and that is my favorite feature as I get to meet amazing people like you. My favorite was Tim Sebastian the interviewer of the year several times in Britain. He was a tough cookie. Loved interviewing him. Learned a lot from that. Fadi: There are so much young talents in Jordan. The Royal Film Commission trained many in Film and TV production but we are yet to see the industry mature. At the front of the industry we see some women leading the way such as Nadine Toukan, Rula Nasser, Tima Al Shomali, Rania Kurdi, Saba Mubarak and Jana Zeineddine. What do you think of the creative industry as a good platform to change cultural norms and push women rights? Do you think that you (women) have done enough on that front? Lama: I think the industry still needs more female presence. 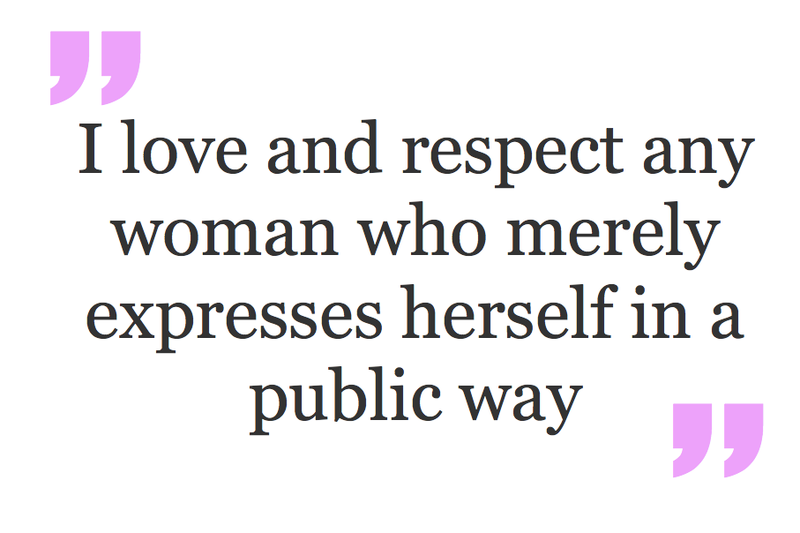 I love and respect any woman who merely expresses herself in a public way. That is enough for me. I just think more women should do it and with more intensity. I think the creative industry serves as a platform for “exposure” which is the first step to changing cultural norms. But I don’t think it’s enough on its own. You have to add all the other ingredients to form a noticeable change. Fadi: Have you watched Fe-male past Ramadan? What do you think? Lama: Yes some episodes! I am a fan of Tima just because she’s never afraid of being goofy on TV. She really opened up that space for a lot of women. She’s quite bold and I love it. Lama: That was the talk of the town when it was on which is GREAT. I want to see more female-led comedy and Rania is so talented in that way. She was bold, challenged some boundaries, and led to some talk which is what we need for this industry to start growing. Fadi: One last question, what are your future plans? 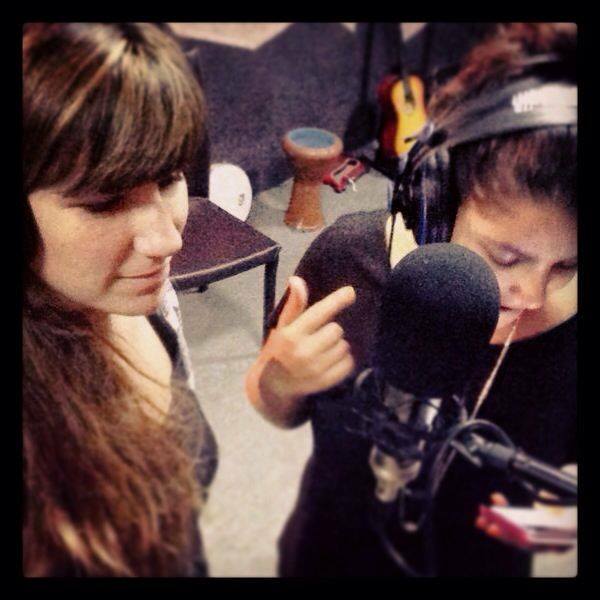 Lama: I am now considering studying music professionally as a basic plan to be able to be more technically adept and more capable vocally. When and where this will happen I can’t answer honestly because I decided on that just three days ago. This is how spontaneous my life has been. I just hope I’ll still have the resilience to offer something to my community in the long run. I’ve learned through my first experience that this industry is the hardest to work in Jordan. Hopefully it will be easier for people like Jana and I to keep going the way we are down a much smoother road.